There were no injuries or reports of damage as of 4:45 a.m. from either quake. 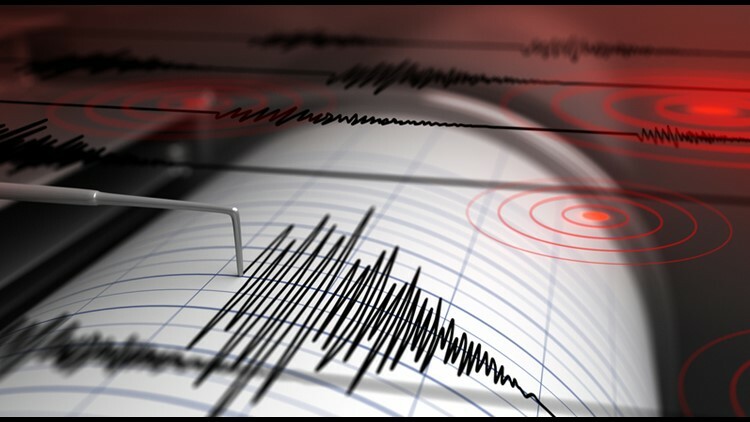 A 4.4 magnitude earthquake was felt across East Tennessee and into parts of Georgia and North Carolina on Wednesday morning, the United States Geological Survey said, along with three aftershocks. 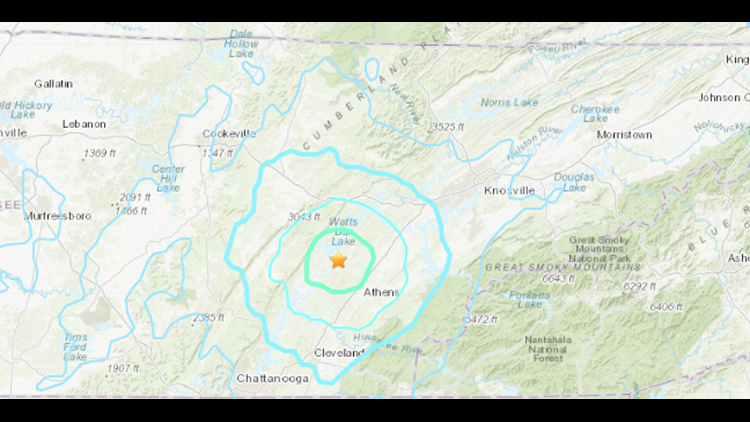 It was the second strongest earthquake on record in East Tennessee. The strongest was a 4.7 near Maryville in 1973, the National Weather Service in Morristown tweeted. 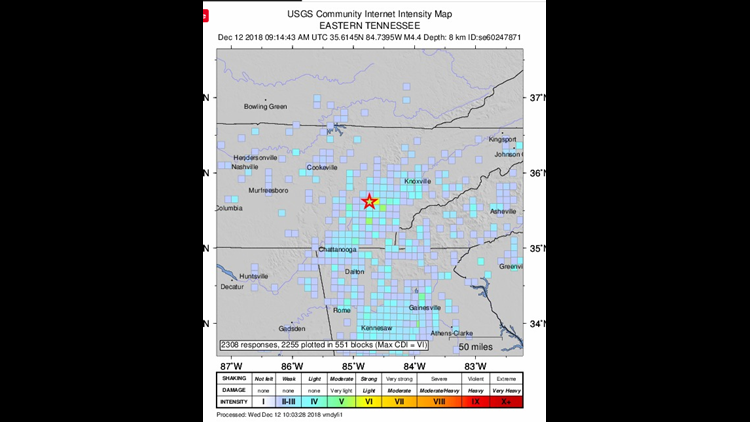 People from across Tennessee, North Carolina and Georgia reported feeling the first earthquake, according to USGS, with a 'V' level of intensity on its ShakeMap and a 'VI' level of intensity on its 'Did You Feel It?' page, a community internet intensity map on USGS's website. There were no injuries or reports of damage from the quake or its aftershocks. Many were reacting on social media, too.